This October, BFREE, Turtle Survival Alliance, and our partners are observing the second annual Hicatee Awareness Month. Throughout the month, activities and events will celebrate the beloved Central American River Turtle – locally known as the Hicatee. 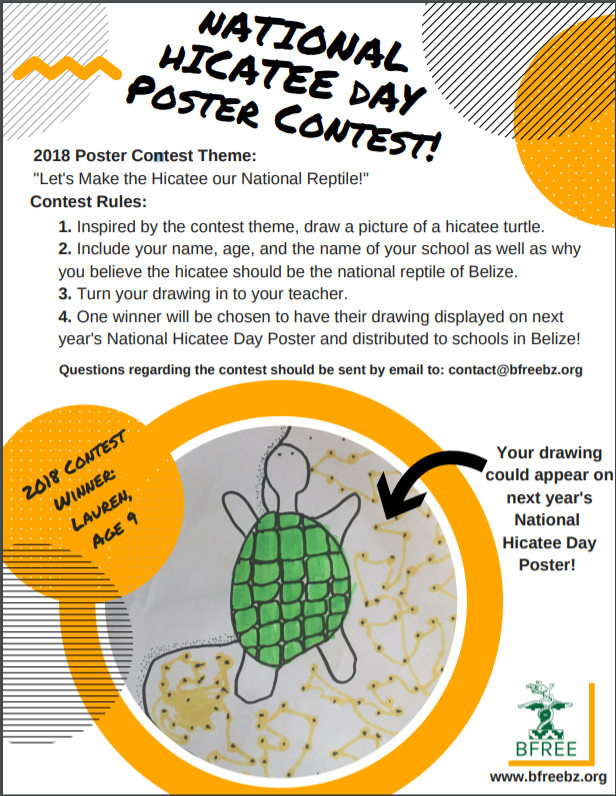 This year’s message encourages national pride of this rare and unique species by seeking to establish the Hicatee as the national reptile of Belize. The Hicatee’s main predator is man. In effect, this turtle is being eaten to extinction across its limited range. Although it is believed that the Hicatee still exists in very small populations in northern Guatemala and southern Mexico, its stronghold is in Belize. Therefore, the future of the species depends on the actions of those who live in and visit Belize. As the country’s national reptile, the Hicatee’s public status would be elevated and the stage would be set for national pride of this rare and unique species. Just as the Tapir and Toucan are revered and protected due to their status as the national animal and national bird, the Hicatee would be revered and protected if recognized as the national reptile. To help prepare teachers for October, BFREE distributed educational packets to 100 preschools and primary schools in Cayo and Belize Districts. These are areas in which Hicatee have historically been found. Packets included classroom resources like activity pages and fact sheets about the Hicatee and other valuable and endangered wildlife found in Belize. “Herbert the Hickatee,” a book written by Ms. Gianni Martinez, a teacher at St. Mary’s School in Belize City, is featured in the packets. Also included is a national competition for students to design the 2019 Hicatee Awareness Month poster. On October 1st, BFREE emailed packets to principals of every school with a valid email address (540+) in Belize. These packet materials are available online for download at http://www.bfreebz.org. Special additions to the online packet include a poem for kids “I am a Hicatee Hero,” by Mr. Jaren Serano, alumnus of Sacred Heart Junior College in Cayo, and the 1 ½ minute video trailer for “Hope for Belize’s Hicatee: Central American River Turtle,” created by wildlife filmmakers, Richard and Carol Foster, of Belmopan. 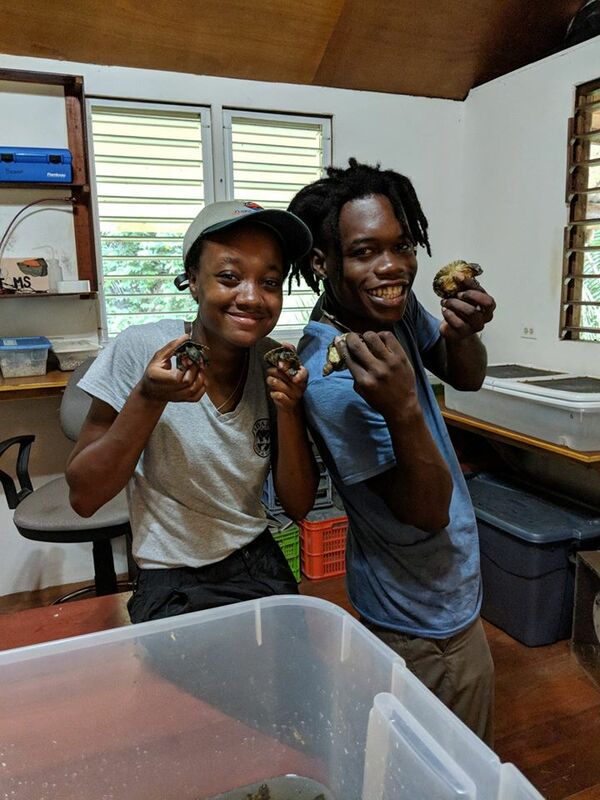 With the second Hicatee Awareness Month, we are encouraging our Belizean and global partners to unite to help save this species from extinction. By making this our national reptile, future generations and leaders will recognize the important cultural and historic value of the Hicatee turtle – Belize’s National Treasure. The hicatee is disappearing, but together we can save it.